The Appeal-Democrat in Marysville is Yuba-Sutter's award-winning newspaper. We offer print and online news, marketing information, advertising and much more to our local community. Our newspaper services include traditional as well as online media news. We provide content in the following areas: columns, in business and health. We offer an information center, blogs, police blotter, crime map and scanner. 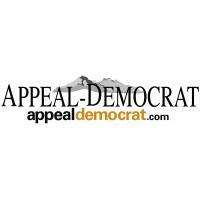 The Appeal-Democrat features sports: local, regional, nation/world, varsity and collegiate as well as supplies interaction by way of photo slideshows, video, blogs and contests. Visit any of our websites and review our gallery which offers videos and photos of the local area. The Appeal-Democrat offers more than newspaper services; we also help local businesses with their marketing and advertising needs doing so by way of web services, campaign management, branding solutions and printing services. We offer the community so much more than just print and hope that we are able to help the community by way of news, branding and community involvement. Mondays - Fridays | 8a.m. to 5:00p.m.